If you want to invest in a more sustainably-sourced wardrobe this new year, you must learn about LataSita. Located at Ballygunge Place, the Kolkata-based size-inclusive label is creating environmentally-sound upcycled clothing, without compromising on aesthetic or creative energy. Ethical fashion is gaining more and more significance the world over, thanks to social enterprises like LataSita and its founder Meghna Nayak, who believes that real profit is not just monetary, but also social and environmental. “My research began as a student of journalism in Cornwall, where I realised the environmental and human cost of production. I learned fashion is the second largest polluter, second only to oil. The chain, from crop to customer, leaves a toxic trail, unwittingly enabled by us with each purchase. We don't know our place in the chain. Textile pollution needs to be seriously addressed,” Meghna, who’s also the designer for the label, tells us. Zero-Waste fashion does not come without its own challenges. Meghna agrees that most people won't engage with something simply because they 'should' or because 'it's ethical'. Which is why she uses her brand as a platform to start a conversation with her customers, many of whom do not grasp the idea of sustainability. “A lot of folks don’t know a lot about about ethical fashion — they just want to look good. 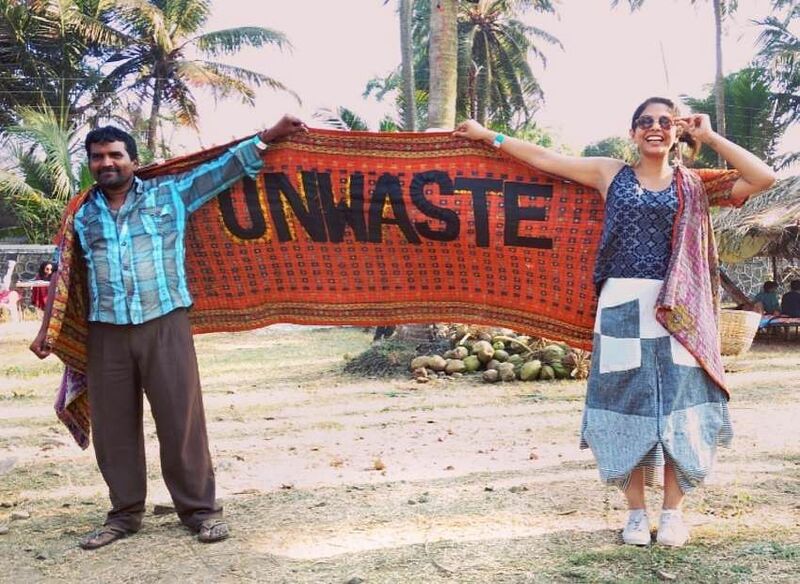 But they’re emotionally connected to whatever we’re making using their saris — and it’s just a wonderful way to start a dialogue about how clothing is made, and its environmental and human cost,” Meghna informs us. LataSita’s creations are also really about looking inward — into your history and its creative trail. The USP of the brand is the upcycling of old traditional saris or wearable heirlooms. “In India we already have a long history of jugaad woven into our culture and upcycling saris is not new. Our grandmums have been turning them into kanthas and even kurtas. I uplift a piece of cloth lying unused to a gorgeous piece of bespoke fashion. Apart from my own pret pieces, a lot of super fun custom commissions keep coming my way. I recently created sherwanis out of tussar curtains!” says the designer. 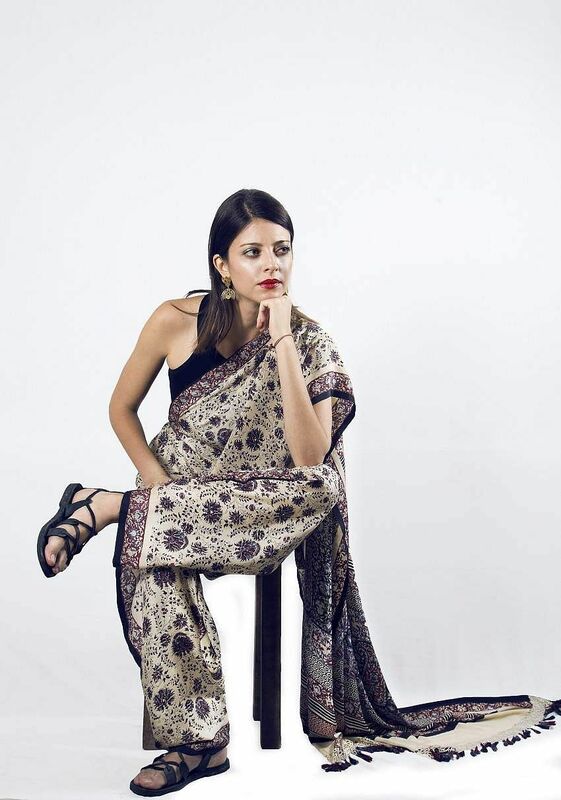 From upcycled pure silk kimonos, Benarasi skirts, to sari culottes, LataSita has struck the perfect chord with millennials looking for individualism. Meghna tells us that the production process, as imagined, is quite intense. “I have two lines, pret and custom. To break down the process a bit, I’m a collector of sustainable textile, specifically old textile, and with this, I create my pret line. This is something I’m always working on, and we’re constantly creating new designs and planning future collections. When in Calcutta, I run my Send Us Your Saree project that has now been running for five years. Here, people come to me with their saris and I create pieces for them with their textile, sometimes complemented with treasures from my collection,” she tells us. Meghna tells us that LataSita’s creations are a confluence of social anthropology, history, memory and identity, expressed through fashion and art, whilst being environmentally and ethically sound. Take their reversible kimono, for instance, which is an exploration of the classic Laal/Shaada sari of Bengal. Or the sari slacks which is the ultimate androgynous fusion wear. “ In the future I hope to document the anthropological aspects of my work and present it in a book or an exhibition. I want to travel the world with my pieces, and my work has already been showcased in Taiwan, England, Kenya, Germany, Sweden, Belgium, Bangladesh, and the Netherlands. Next month, I’m off to Sri Lanka,” Meghna signs off.